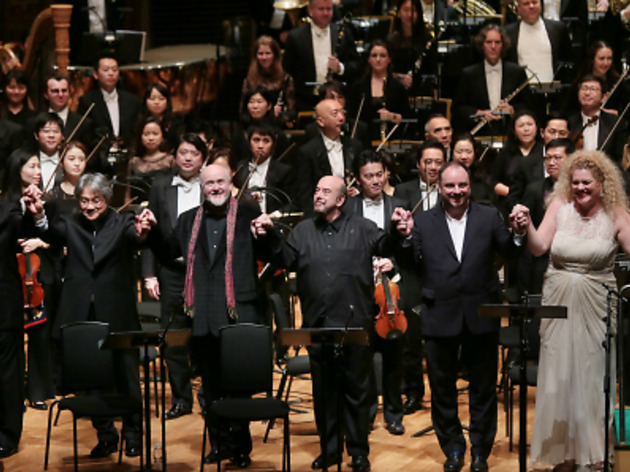 In a historic first for our city, the HK Phil began its promised four-part odyssey that is Wagner’s Ring Cycle last week, with two performances of Das Rheingold. The remaining three parts of the cycle are due to be completed from January 2016 through to 2018. The concerts, which saw the opera’s score performed with an orchestra and a stellar cast of world-renowned singers, were certainly ambitious – but at the end of the second concert on Saturday, January 24, the audience was held in total rapture, quite fitting for such an epic undertaking. Of course an in-concert performance is naturally devoid of the staging, costume and props that form an integral part of the opera experience, but there was certainly no lack of stirring drama at the Cultural Centre’s Concert Hall. While the orchestra is usually tucked away in the pit for the regular staging of any opera, audiences had the privilege of watching Wagner’s polyphony unfold in front of their eyes thanks to the in-concert format. Nowhere was this more captivating than in the Prelude, which, beginning with the famous E-flat pedal, had different string sections weave in and out of each other as the undulating texture, symbolic of the Rhine River, gained momentum. We were utterly captivated (and a little surprised) by HK Philharmonic’s masterful execution of Wagner’s onomatopoeic musical style. The words themselves become secondary, when tonal painting is as vivid and descriptive as this. The plot is aided furthermore by the leitmotif, a technique pioneered by Wagner in which characters, emotions and even objects are signalled by musical markers. All the cast took care to portray their roles dramatically, as well as musically. Despite being restricted to a set space on the stage, there were subtleties and interactions between them that, should you have looked away for a moment, you might have missed. Comedy did not escape the actors, or the spectators, especially in Alberich’s mimetic portrayal of his transformations into a snake and a frog. 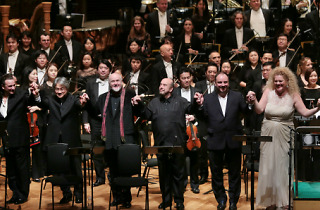 Led by Jaap van Zweden, the HK Philharmonic toiled bravely through a continuous, nearly three-hour-long performance. The privilege of finally witnessing Wagner’s masterpiece rested not only with the musicians in the Hong Kong premiere, but also with the audience.